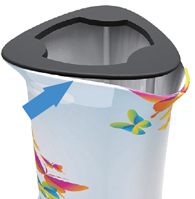 If you want to catch people’s attention and draw them to your exhibition booth, you need to use unique display accessories guaranteed to capture your audience. The triangle counter is one example of display accessories that do just that. 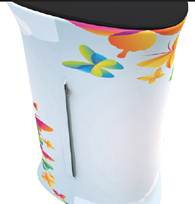 Because of the unusual shape of this type of exhibition counters, it helps create a buzz for your products. 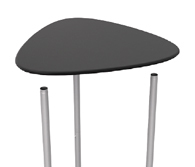 We have triangular portable counters that are not just beautiful but also very affordable. The triangle counter model we offer is truly extraordinary. 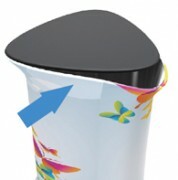 Its unusual design gives your display a bit of flair. 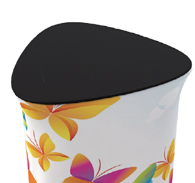 Sized 645mm/W x 620mm/D x 970mm/H, it is perfect for use in trade shows where you will be displaying unique, luxury items. The shape of this counter model is not the only benefit going for it, however. Each triangle counter is made up of a frame and a fabric graphic. 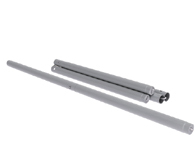 The frame is sturdy and durable thanks to its aluminium support poles. 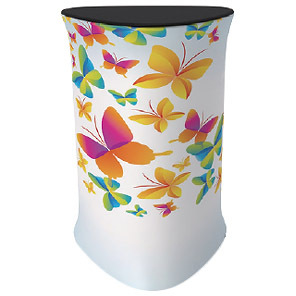 The fabric graphic is produced in full colour using the latest in digital fabric printing, thus ensuring vividness of hue and clarity of detail. Our fabric printing method additionally guarantees that the fabric will be resistant to fading and damage. It is also extremely easy to set up these triangular exhibition counters. 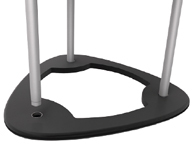 The first step you need to take is to install the support poles on the base of the frame. Then you place the countertop on top of the poles. Afterwards, you pull the fabric graphic over the frame so the fabric covers the frame entirely, and then you zip it closed at the back. The entire process will take you no more than five minutes to complete. You are guaranteed to get good use from this counter. The frame is durable and the fabric graphic fade-resistant, so you can use it as much as you want without worrying about damage. It has a portable hard case that allows you to take this display anywhere you want. You can use this display over and over again, so it will save you a lot of money in the long run. 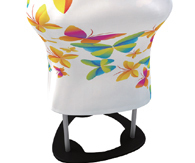 If you need a new look for your display, you can keep the frame and simply order a new fabric graphic. You can even extend the use of this counter by adding a matching triangular shelf. 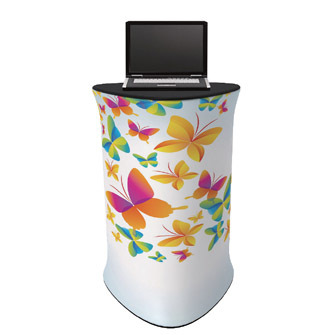 Our triangular exhibition counters are truly the most practical and affordable display solutions you will find that will help you generate buzz for your products at any expo or trade show. 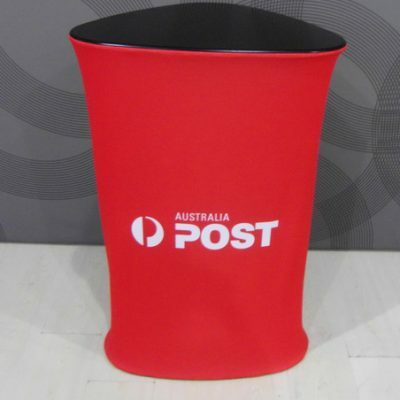 We deliver to any location in Australia, including Sydney, Melbourne, Adelaide, Perth, Canberra, Darwin, Brisbane and Gold Coast. Call us for more information on this product right now. 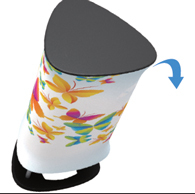 Slide fabric graphic wrap onto hardware.Align seam to center of back of counter. Angle and tuck gasket into channel in edge of counter top. Insert graphic gasket all the way around. The zipper on the back is used to access in side the unit.